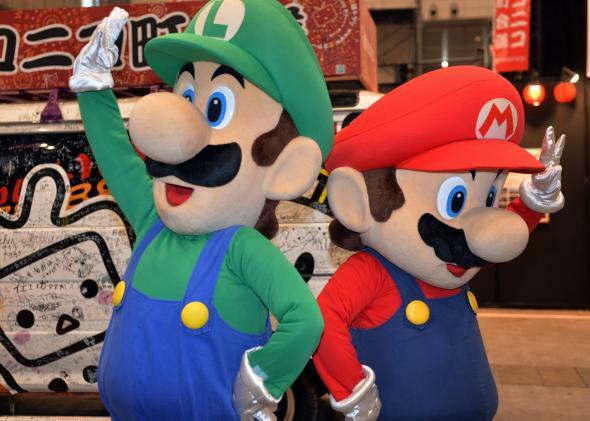 Nintendo partners with mobile company DeNA to make smartphone games. Nintendo Said It Would Never Make Smartphone Games. Guess Who’s Going Mobile Now? For years Nintendo has made a point of sticking with proprietary consoles instead of flinging itself into mobile gaming. This has been a controversial approach that has spawned countless think pieces and explainers over the years. But on Tuesday the company announced that it is partnering with the Japanese mobile game developer DeNA to create smartphone games and other mobile features. The two companies are each putting $18 million into purchasing each other’s stock, which will give Nintendo a 10 percent stake in DeNA and will give DeNA a 1.24 percent stake in Nintendo. Along with using Nintendo characters in mobile games, the partnership will also lead to a new type of digital membership that will allow Nintendo users to transition more seamlessly between mobile devices, PCs, and dedicated game consoles. The company said in a statement, “Leveraging the strength of Nintendo’s intellectual property and game development skills in combination with DeNA’s world-class expertise in mobile games, both companies will develop and operate new game apps … including its iconic game characters, for smart devices.” Nintendo says, though, that only new games will get mobile versions. The company doesn’t seem to be focusing on bringing classic favorites to your smartphone (unfortunately). It’s good to see Nintendo innovating, and hopefully DeNA is the right partner to make Nintendo some money in mobile without destroying its empire. Investors seem happy, at least: Nintendo shares finished up 27.5 percent on Tuesday at $18.22. But it’s hard not to be wary of something that the company has always said would never happen.